Created as part of my 1st wave of the "GI Joe: Next Generation Warfare" line, The Siegie Aegis is a new edition to my Crimson Guardsman ranks. This was a fun figure to make, and I really like how the different parts came together. I so far have two figures completed but wouldn't mind making one or two more. 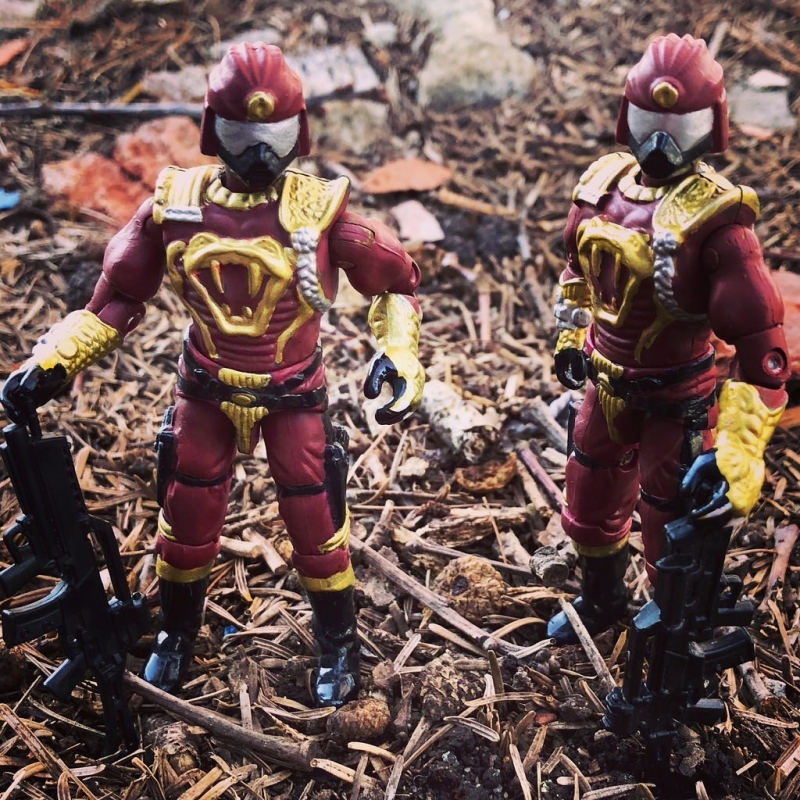 Crimson Guard Aegis are the latest incarnation of Cobra's Elite Troopers and their singular purpose is the personal protection for members of Cobra's High Command. Each member is handpicked by Cobra Commader from the ranks of Immortals, and they are all equipped with flexible Kevlar alloy armor making them resistant to heat and most small arms fire. A mandate by Cobra Commander himself requires members of high command to always travel with Aegis protection. These fanatics are scarily loyal to the cause and not afraid to give their life in the protection of Cobra's high command.